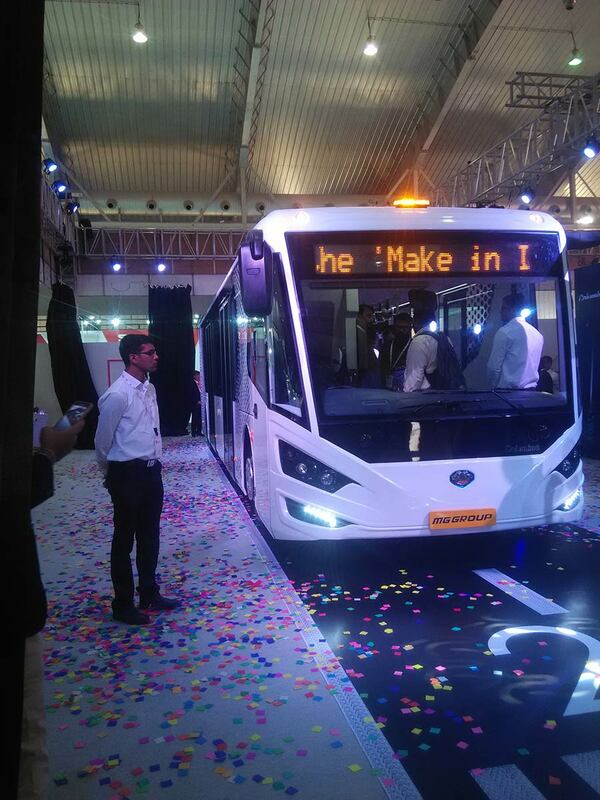 MG Group, one of India’s largest Bus Building Companies today unveiled the company’s first special application coach (tarmac coach) – ‘Columbus’ at Busworld India 2016. 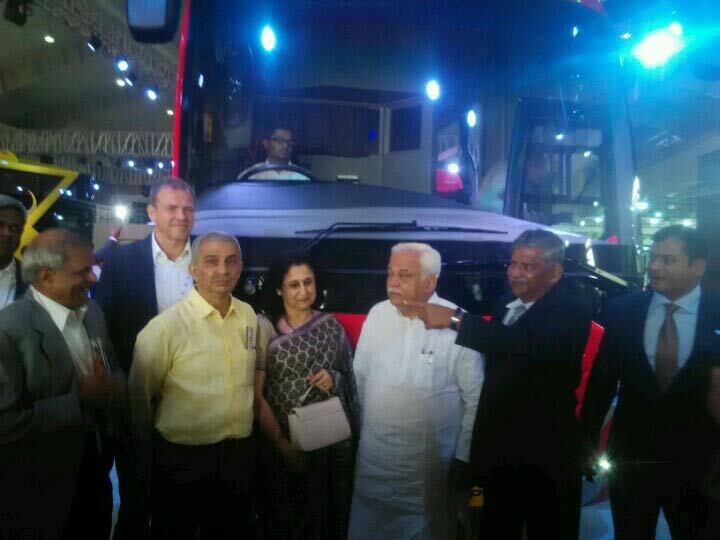 The coach was unveiled at the hands of Shri R. V. Deshpande, Hon’ble Minister for Large and Medium Scale Industries,Infrastructure Development, Government of Karnataka along with Mr. Mohan V. Kamat, Founder & Chairman – MG Group and Mr. Anil M. Kamat, Managing Director – MG Group. ‘Columbus‘ is the first-of-its-kind, fully Monocoque Ultra-low Flat-floor Tarmac coach developed currently for international markets with a passenger entry floor height at as low as 290 mm (after kneeling). With its smartly designed cabin space, the coach offers swift passenger entry and exit with five passenger doors (3 at LH side & 2 at RH side). With reliable drive line aggregates like ZF and Cummins, a fully composite and leak-proof roof panel and soothing interiors beautifully lit with LEDs, making it a product of Global Standards. The 12 metre-long coaches can accommodate 70 passengers (8 seated & 62 standees). Equipped with the latest technologies such as ECAS, ABS, & CAN bus systems, the coach is fully complied with Airport Handling Manual regulations. Over the past two decades, we at MG Group have played a significant role in the Indian Bus Building landscape, recognizing customer needs and introducing game-changing and innovative products and solutions for the Bus & Coach Industry. The ‘Columbus’, currently diesel powered, is envisioned to be offered with CNG as well as Electric Drive lines in the short term. In India, the air passenger traffic has been increasing at approximately 20% year-on-year and hence the demand for Tarmac Coaches is also increasing. The total park volume is currently 800 Coaches, being a highly niche segment. A good Tarmac Coach further enhances the image of the airline. The Indian market currently demands about 50 Coaches per year, which is expected to grow as aged Tarmac Coach fleets are also due for replacement. Leading airlines have also placed record order sizes for aircrafts, which in turn, will increase the demand for Tarmac Coaches. Tier-2 City Airports under focus will also boost the demand of Tarmac Coaches. Keeping in mind the urgent need for spacious & high technology coaches by the airline industry, the ‘Columbus’ has been positioned as a revolutionizing product and a technology demonstrator. 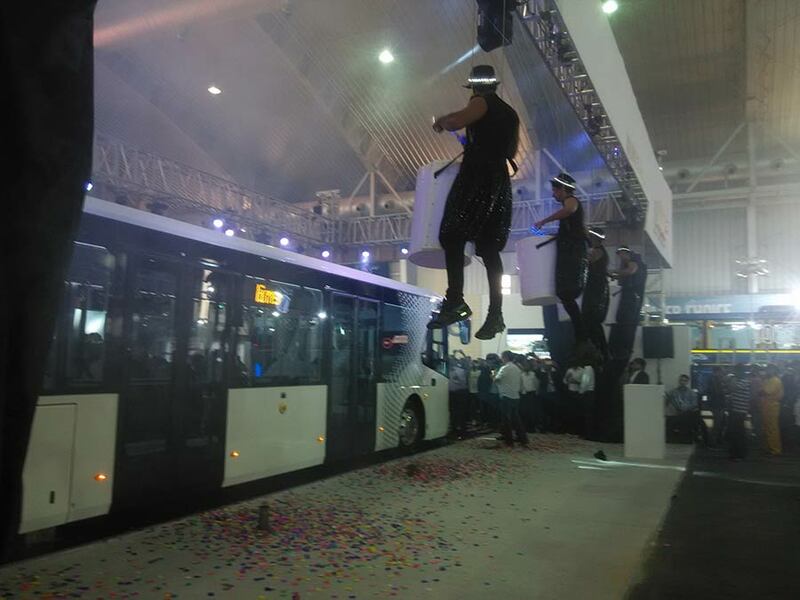 The coach will be initially introduced for the export markets and will use the Bus World 2016 platform to take critical feedback from Indian customers with a goal to introduce it in the domestic market in the near future. 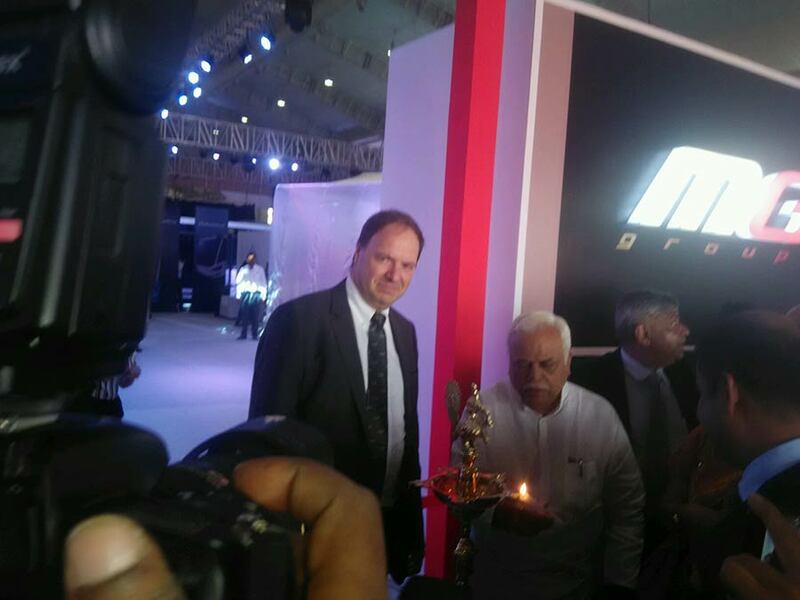 The Group also launched its Flagship Premium Luxury Coach ‘Mammoth’ for the Indian market. The coach is already being produced for International Markets since its unveiling last year at Busworld 2015 held in Mumbai, and MG Group is now introducing this product in the Domestic Market. The ‘Mammoth’ has also been fully designed and developed by MG Group. Built on the state-of-the-art MAN chassis, and certified by MAN Germany, the ‘Mammoth’ has been built with the focus of being one of the safest and most comfortable premium luxury coaches in India. It’s ‘Made in India & Built to International Standards’. The chassis from MAN, Europe’s leading OEM Commercial Vehicle Manufacturers, is rugged and robust, which caters aptly to the Indian operating conditions with increased driving safety, while significantly reducing body movements for best ride comforts. With a total of eight emergency exits, the bus also includes various safety measures such as no sharp corners, seat belts for every passenger and the ‘EM – Secure’ Rear Emergency Exit, which is patented by MG as a world’s first! Celebrating our journey of 20 years in the Bus Building Industry, the launch of ‘Mammoth’ will enhance our position in the market. We will be launching the ‘Mammoth’ in the Domestic Market in both seater and sleeper variants. 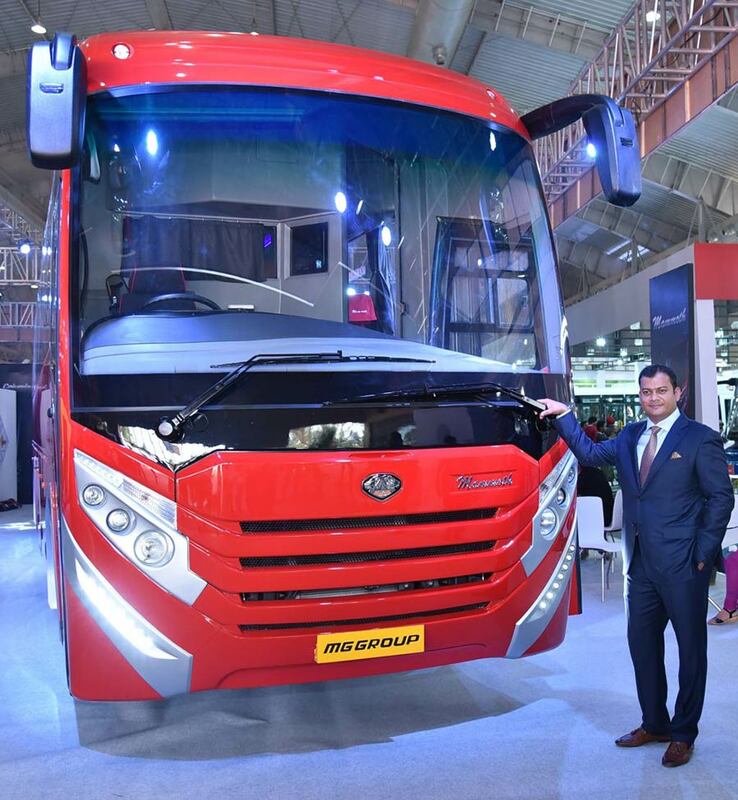 With this new future ready product, MG Group is set to transform the Bus Building industry in India, and I am convinced that we’re setting new benchmarks for the entire industry. Mammoth coaches will be available in four variants in the market. The price range will be between Rs. 60 lakh to Rs. 65 lakh depending on the type of variant and technical specifications. With our esteemed customers and partners such as Mahindra & Mahindra, Ashok Leyland, VECV, Tata Motors & MAN, the company, since inception, has manufactured over 8000 buses across 25 markets globally for export markets, alone. 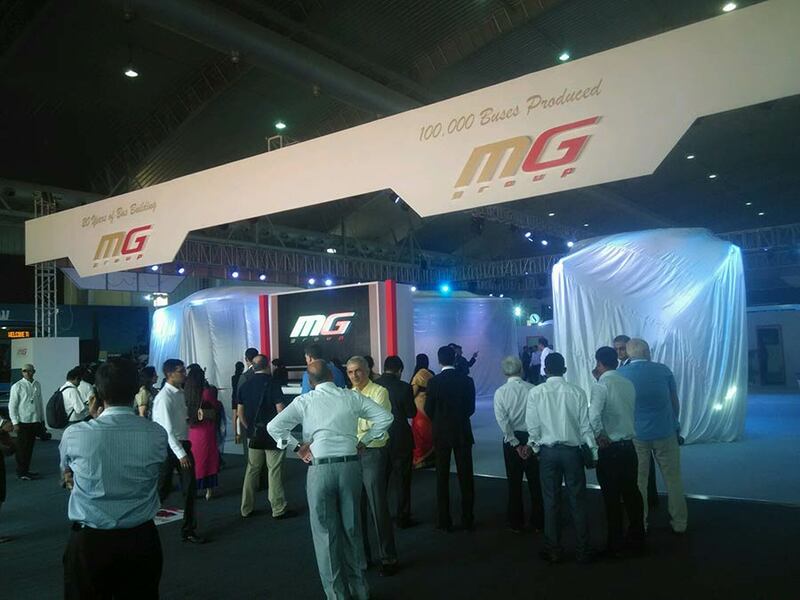 MG Group has an annual installed capacity of 16,500 buses across two plants in Zaheerabad, Telangana and Belgaum, Karnataka.